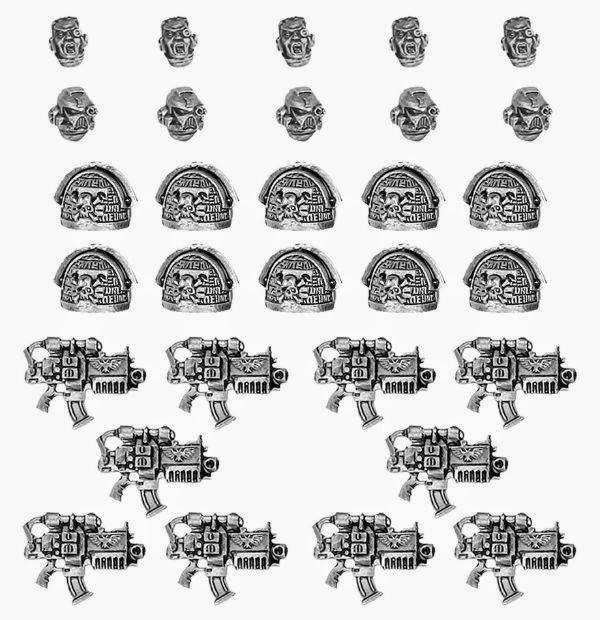 I've loved the idea of running a Deathwatch army basically since I learned that they were a thing. With the new Unbound army lists, I feel like now is the perfect time to put something together. 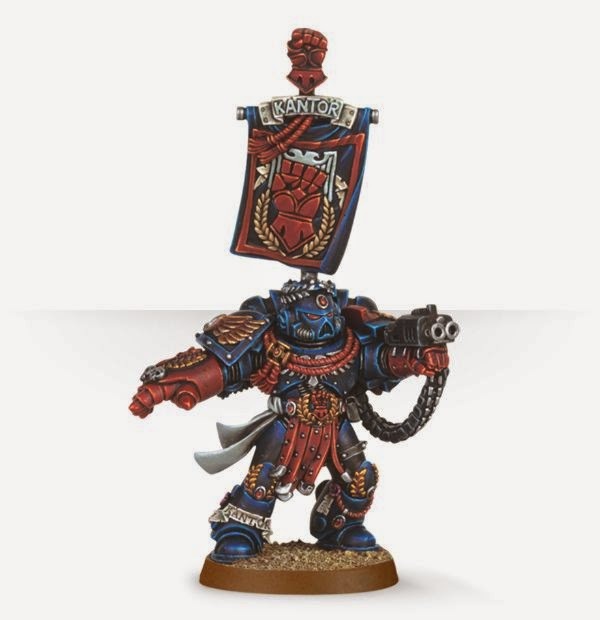 Your standard Deathwatch Marine is basically a Sternguard Veteran. They'll be forming the core of the army. Pedro Kantor gives all Sternguard Marines the Objective Secured special rule, so I think it makes perfect sense to take him as my Deathwatch Captain. He'll obviously be getting a black and silver paint job and will be losing the ridiculous banner. Nothing says "Shoot Me!" like a giant banner. I'll probably be deploying the marines via both Drop Pod and Stormraven. I already have a Stormraven painted up in Deathwatch colors. Adding a couple of Drop Pods should be a total non issue. I'm debating on what to do for the Deathwatch shoulder pads. Below is the set that Games Workshop sells. The main issue with this set is that the heads are useless and I could take or leave the Bolters. The Bolters aren't bad, but I have a ton of sights that I can stick on regular Bolters. I'd essentially be spending $25 on 10 shoulder pads. 25 USD... Seriously? And the Shoulder Pads are smaller than current size. 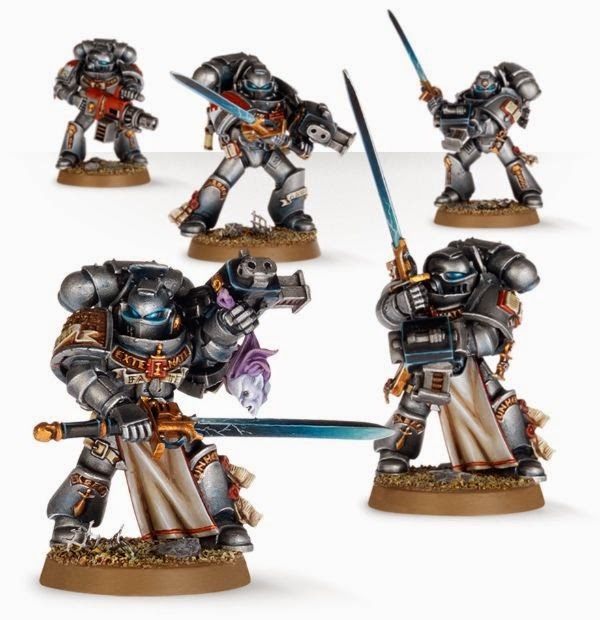 For and extra $8, I can get a 5 man Grey Knights Strike Squad, complete with 5 awesome looking helmets and a whole array of snazzy shoulder pads. I think this is ultimately what I'm going to do. I'll take the bits I want and then if I can sell the rest for $8 or more, I've come out ahead of the game. Note to Self: Buy More of These Guys! Lastly, I'll have to convert up an Ordo Xenos Inquisitor. Someone needs to be sending these Marines off on their tasks, after all! 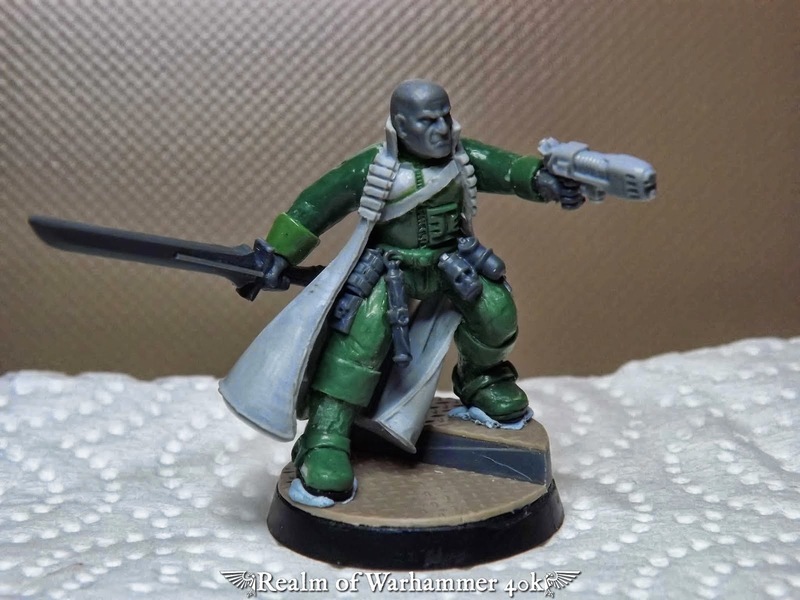 This is the coolest conversion I was able to find on Google Image Search. I'm thinking that something similar would be awesome. Not My Conversion, but AWESOMELY DONE!